Challenge at the 2014 National Curtain Raiser Show in May 2014!! 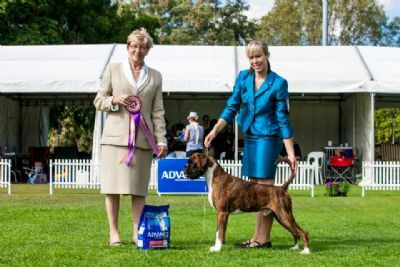 Thomas does it again at the BOXER CLUB of NSW taking BEST PUPPY IN SHOW at both Shows, Saturday under Blair Culling (NZ) & Sunday under Mrs Edna Woods (UK! 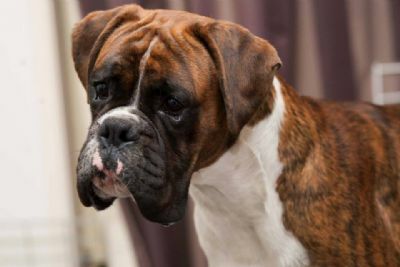 Thomas goes BEST BABY PUPPY in SHOW SPECIALITY under CAROL SCHOFIELD Koppernox Boxers UK @ the Western Districts Boxer Club on 9th Sept 2012!!!! neck, short coupled through loin, bang on rear quarters with good width of thigh and correct turn on stifle. Moved well for such a baby. Loved him and i'm sure he will have a very promising future. 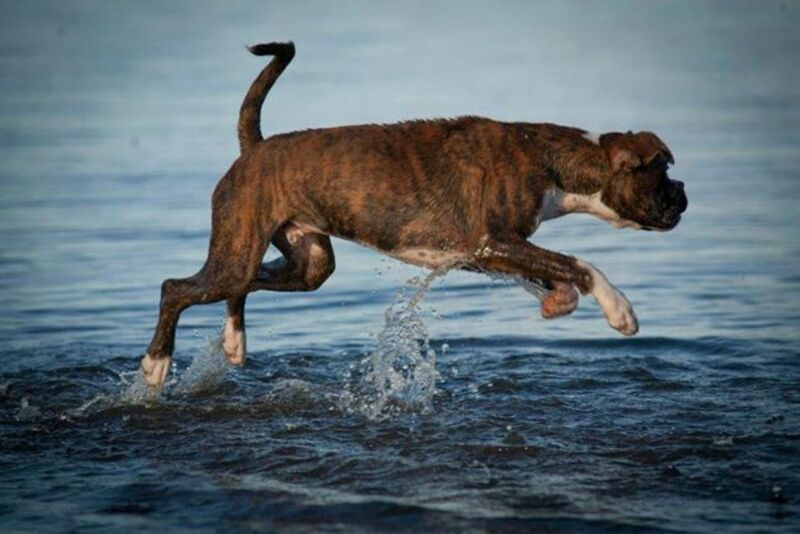 Thomas is out of the stunning Blueprint Secret Agent our gorgeous girl Gemma, Aust Ch Kuroona Billie Jean! 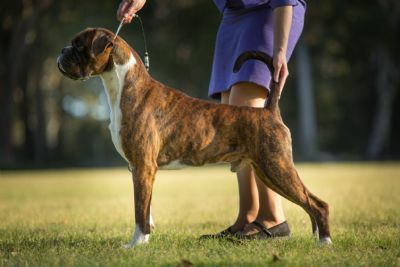 Thomas is a Multiple Best of Breed Winner, DCC Winner, Multiple Class in Group, Multple Class in Show Specialty Winner!